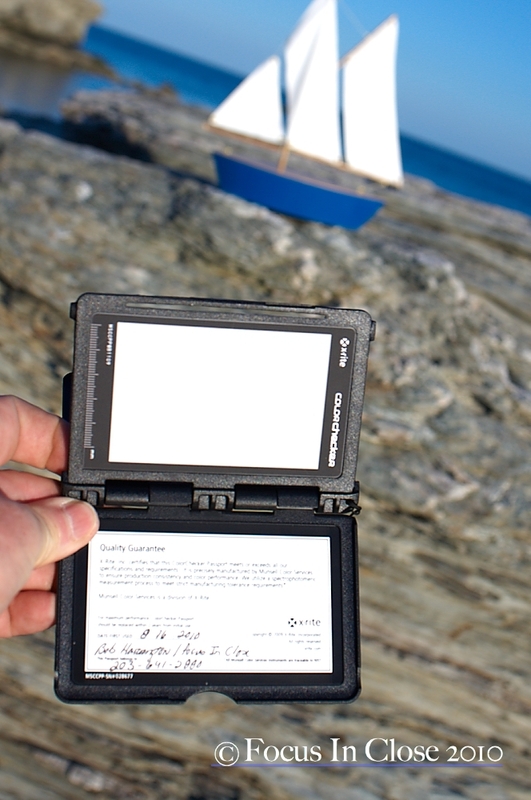 This post is on Custom White Balance and a recent purchase: The X-Rite Color Checker Passport. Getting accurate color is more than difficult these days. Your computer screen is backlit, your prints are frontlit, labs use color calibration profiles that we may not be able to match. You need to calibrate your monitor and pay attention to one of the most important aspects of Digital Photography: White Balance. I recently switched from Adobe raw processing software to Phase One’s Capture One. I never liked Light Room and found Adobe Camera Raw okay. I stepped up to Capture one for its Raw processing ability; the problem, Capture One reads the information in the Nikon Raw file differently than Adobe. Settings I used in my camera for Adobe products were now made obsolete by the new software. Capture one is similar in layout to Light Room and Adobe Camera Raw, but that is it. To counter this color conversion problem I researched custom white balance solutions. I’ve used a Kodak Gray Card, a Photovision target, the Expodisc, a white sheet of paper, and while on the road for VFM Leonardo I used a pillow. But all of these gadgets and things never really got me the look I wanted, until I purchased the X-Rite Color Checker Passport. This thing is fantastic. Capture One just seems to love the White Balance it records, and the black and white swatches allow for color correction with only a few clicks. Get great color and speed your processing up with one of these. The trick, though, is to remember to use it once you have it. Here are a few shots of it in use for the Milford Bank. I took my custom white balance here by placing the color checker under the existing light. Then I took a shot of the color swatch palette. Notice the black to white swatches, here is where you color correct with white and black points in your raw processor or in Levels or Curves in Photoshop. In Capture One, I clicked the white and black swatches for a perfect color and exposure correction. See the difference? Here is one of my initial shots of the session. And finally here is a corrected version that I did just by clicking the white and black droppers on the white and black swatches on the X-Rite target. Again, see the difference. This is a direct Raw to Web jpeg conversion with no other post processing. That’s it for now. Take a look at your workflow and your white balance solutions. 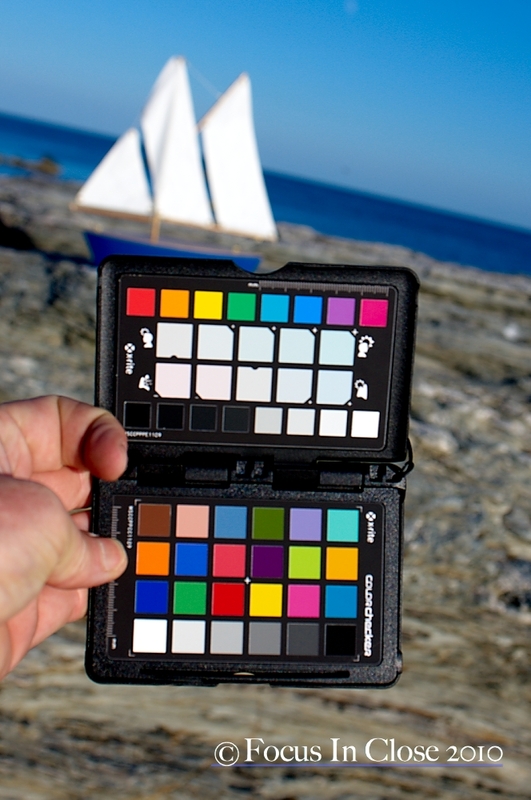 The X-Rite Color Checker Passport is now a mainstay of my workflow. Again I find myself trying to make a comeback into the world of blogging. I’m going to try and stay diligent and at least post a few times a week. 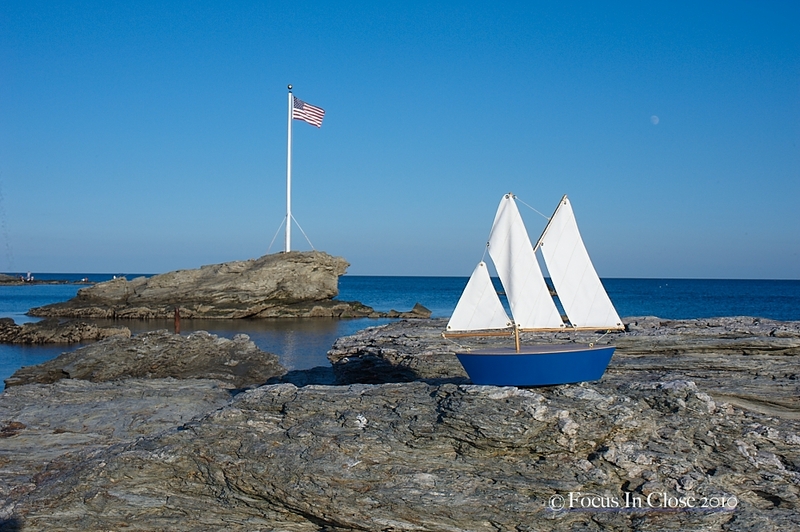 This post is on the Retouch. The digital world allows us to manipulate images to a degree never seen before so retouching photographs for clients now occupies the digital photographers time like never before. Clients assume and sometimes demand for images to be fixed so the client looks their best. Let me show you what I mean. Below is a shot of Nikki. Let’s look at the obvious faults of this image and what I see needs to be fixed. Look at the difference between when I started and the finished product. If you want to take your portraits to the next level, look at them with a critical eye and get to work in Photoshop.